Some people have wrongly expected a crash in the long bonds. What has actually happened is that China and others have sold into the high, liquidating their long bonds, and moving short-term. This is why rates are negative on the short-end. The CRASH comes in the opposite direction this time. Why? Because the central banks have engaged in Quantitative Easing. The ECB (European Central Bank) stepped up its buying of long-term debt to hold the market from 25% to 33%. Smart money is not interested in buying long-term paper, especially when the Fed keeps warning that they MUST normalize interest rates, i.e. raise rates. The system is now highly geared and we will see in the months ahead that short-term rates rise when people begin to wake up and realize that this system is failing. 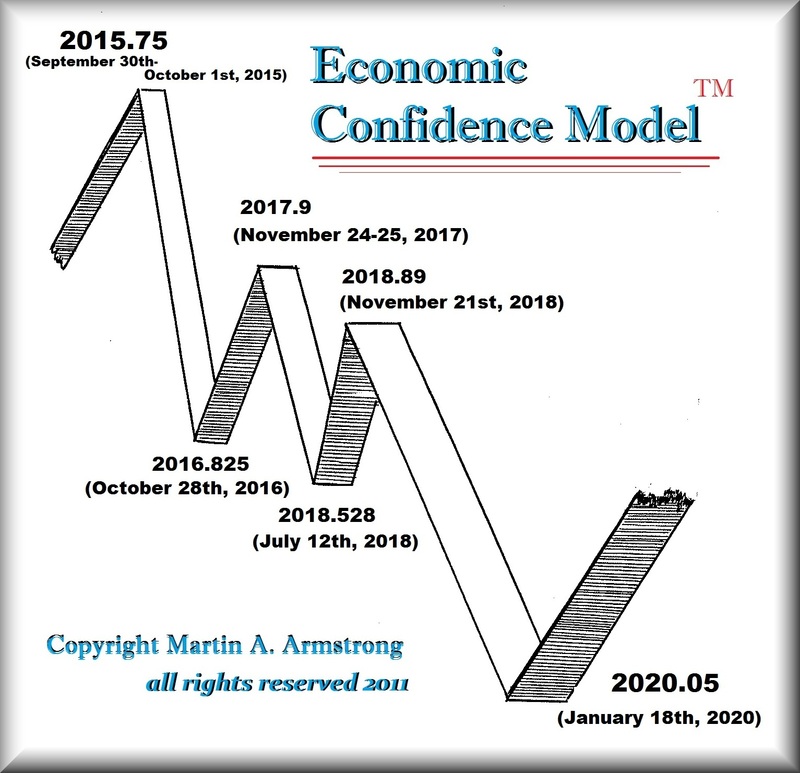 The U.S. Congress tried to push the debt ceiling from the September 30 deadline, which was precisely the day of the ECM – 2015.75. They could not make it out to December. There is a war within Congress and this is critical, for if the debt ceiling fight gets much worse, then we may indeed begin to start the perception that this is not going to look very pretty the further we move from 2015.75.